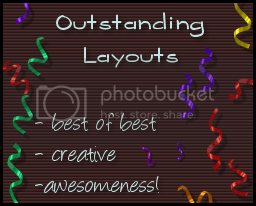 Kindra's Blogging Designs: I got an award! Ashley from Hippo Scraps gave me my first award!!! Thank you so much! Hey Kindra! Thanks for writing. I do know of a website that has a tutorial on how to make blinkies. I hope you find it useful! Let me know if you need anything else! I'm happy to help! Hello! I recently found your blog and I have tried to add a Christmas layout to my blog, but I cannot find the photobucket link for any of them. You create lovely backgrounds! I just love them! !